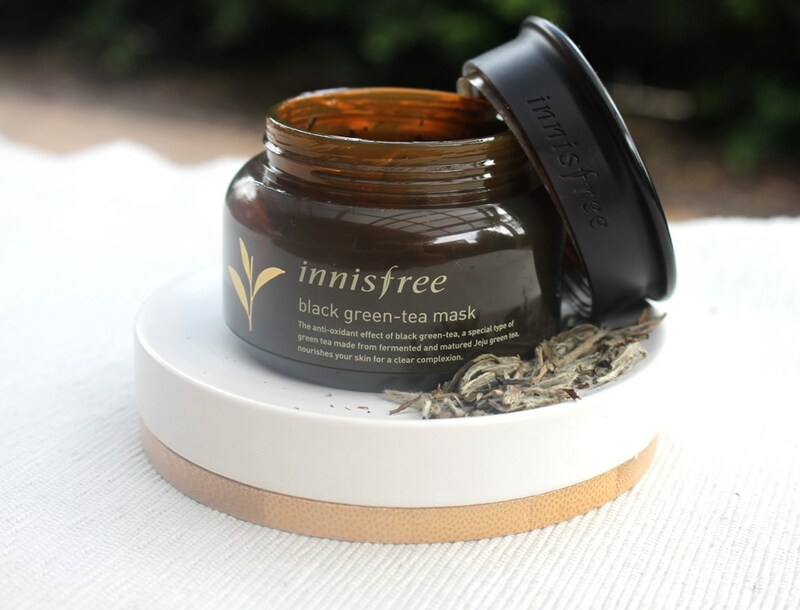 The Innisfree Black Green-Tea Mask is made from 55% fermented fresh Jeju green tea leaves to deliver a strong antioxidant effect to nourish the skin for a clear complexion. 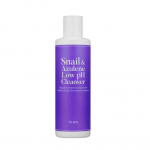 It provides skin with cooling and soothing effects as well as removing excess dead cells for clean and soft skin. 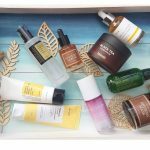 This mask comprises 55% pesticide and chemical free Jeju green tea that has been fermented and matured for 100 days in two stages for maximum skin benefit. Green Tea Extract is a potent antioxidant source that helps to protect skin from free radical damage, reduce inflammation, clear cell damage and help to repair wrinkles. 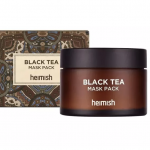 When fermented, the effect is increased even further and the green tea takes on a blackened appearance, hence the product name. Studies have demonstrated that drinking green tea can prevent the formation of cancerous tumors. 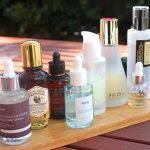 Although there is less scientific evidence supporting the advantages of topical application, its powerful antioxidant, anti-inflammatory and anti-ageing properties cannot be denied. 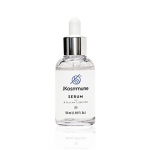 Furthermore, it helps to inhibit collagenase, the enzymes that break the peptide bonds in collagen, thus promoting skin firmness and elasticity. Also contributing strong antioxidant properties as well as anti-inflammatory effects are Prickly Pear and Orchid Extracts due to their flavonoid and polypenolic compounds which protect against oxidative stress. 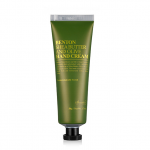 Together with Hydrolyzed Jojoba Esters, they also enhance skin softening. Due to its brightening ability, Citrus Unshiu Peel Extract helps to control melanin biosynthesis which in turn evens out skin tone and assists with the control of hyperpigmentation. Refreshing the skin’s surface happens with gentle exfoliation contributed by two dedicated ingredients within the formula. A mild pH ranging between 5-8 defines Bacillus Ferment which relies on natural enzymes to clear dead skin cells to smooth the skin’s surface for younger looking skin. Sodium Lactate is the sodium salt of natural Lactic Acid, produced through the fermentation of sugar, an AHA that occurs everywhere in nature. Humectants assure the skin is well moisturised and supple, well represented by Propanediol, Polyglycerin-3, Trehalose and 1,2-Hexanediol. Meanwhile emollients exhibit water binding properties for hydration and include Methyl Gluceth-20 and Glyceryl Caprylate, incorporated to impart a soft and smooth feel to the skin. 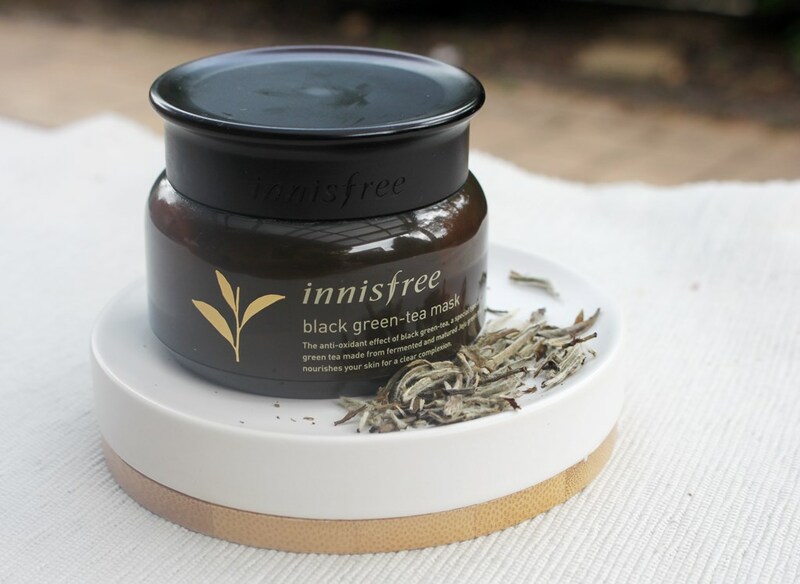 The Innisfree Black Green-Tea Mask comes in a typical package for the brand defined by a plastic jar with protective film over the opening when new. A screw top lid seals the contents and a dispensing spatula is included. For consistency and easy recognition, all the Black Green-Tea range are presented in a similar fashion. 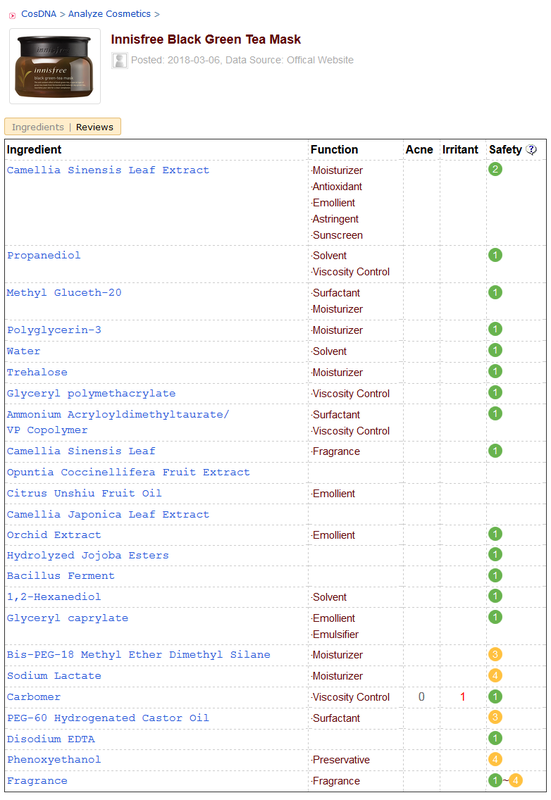 An analysis of the ingredients through the CosDNA and EWG databases indicates expected results with fragrance and preservative (represented at the lowest concentrations in the ingredient list) raising warning flags due to their sensitizing nature. Clarify your skin with a toner after cleansing and gently smooth the Innisfree Black Green-Tea Mask over the face, avoiding the eye and lip areas. Rinse with lukewarm water after 10-15 minutes. 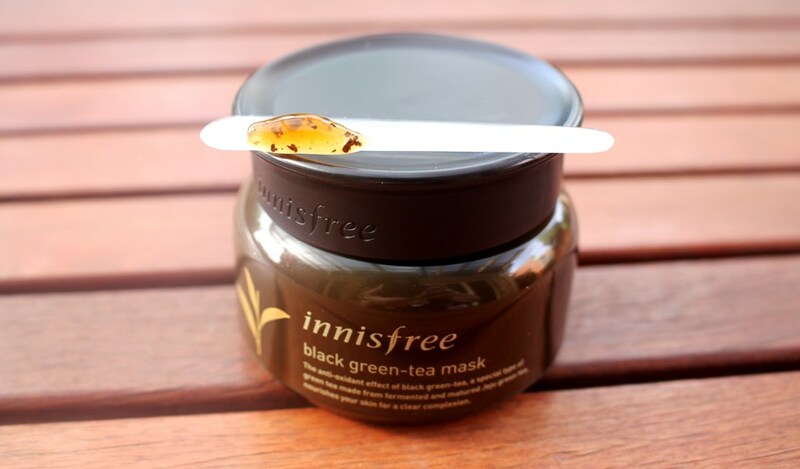 The Innisfree Black Green-Tea Mask has a typical tea scent as expected. 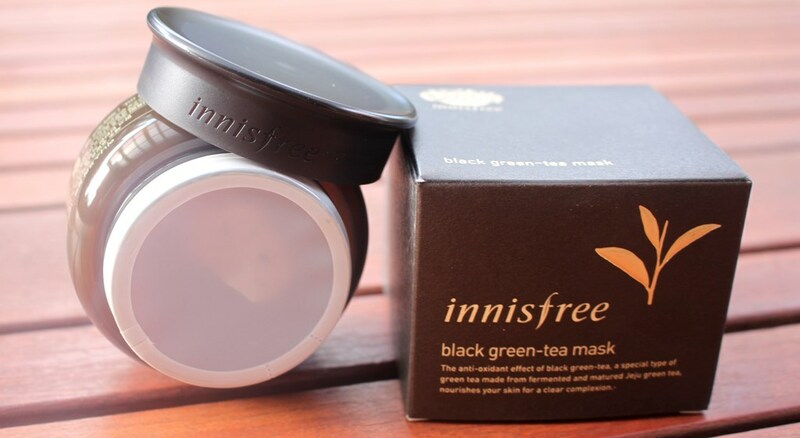 The Innisfree Black Green-Tea Mask has a recommended retail price of approximately US$30.00. 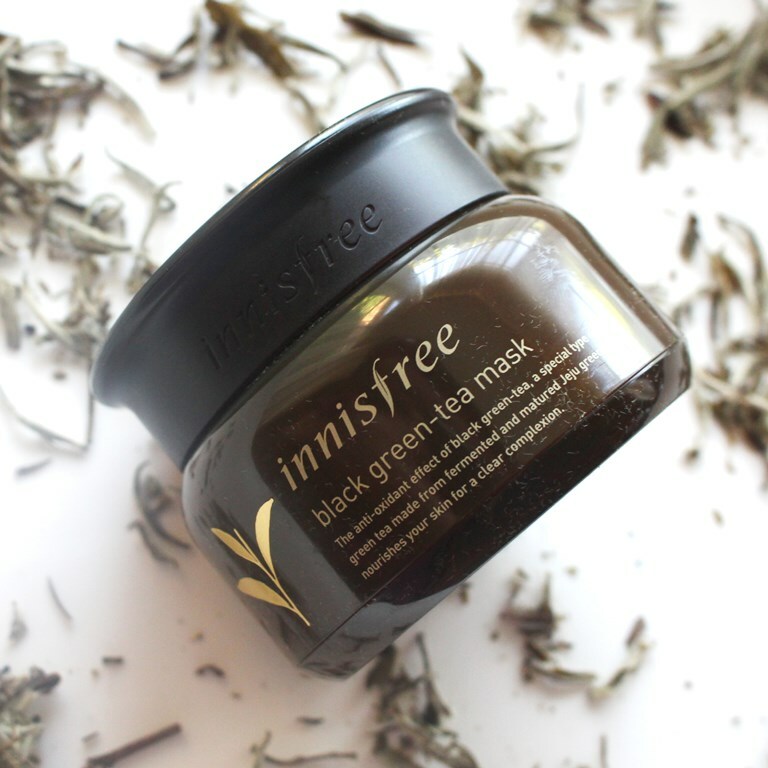 The Innisfree Black Green-Tea Mask is available at Korean skincare boutiques. I picked mine up from Style Korean. 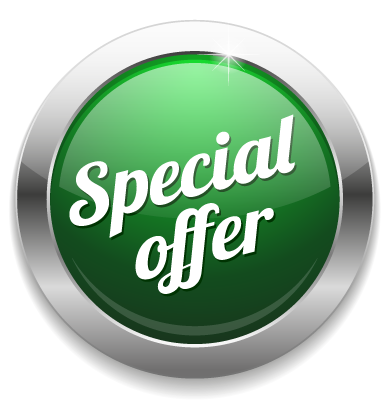 The product must be used within 12 months of opening with a shelf life of two years. 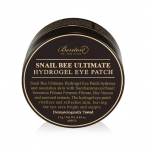 The presentation of this mask is like many and certainly typical of Innisfree packaging. 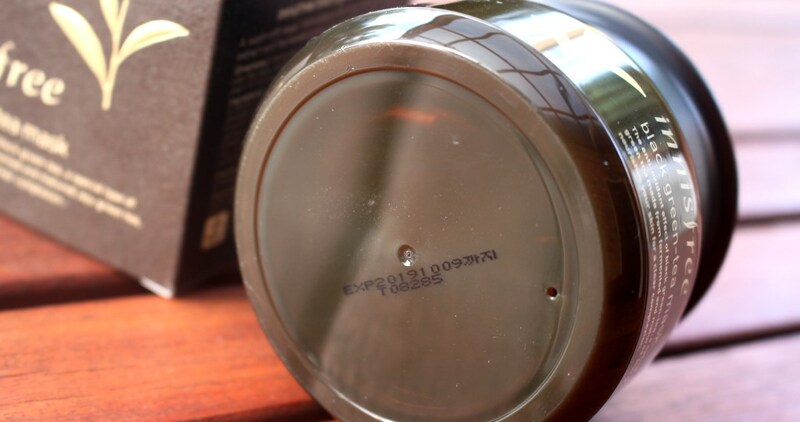 The film over the opening ensures the contents don’t leak and would go towards maintaining freshness by limiting the amount of air exposure. Once peeled away, the glorious and glossy tea infused formula makes a pretty first impression. It looks magnificent with many tea leaves in the jar floating within a glossy jelly like texture. The fragrance is not potent although is unmistakably of tea. It is pleasant, however it is difficult to know how much of the smell is attributed to the Jeju leaf and how much to artificial enhancement. Regardless, for me, this caused no problem or irritation. Once applied, the scent becomes unnoticeable. A plastic spatula is included to help dispense the product which is very handy given the consistency. Although it looks sticky, in practice, it’s not. The mask spreads easily with plenty of slip and stays in place. 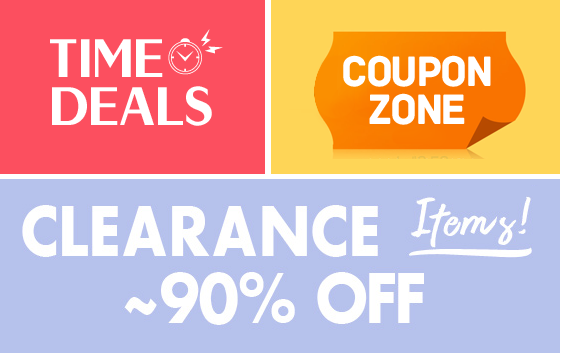 I enjoy massaging it on for a few minutes and ignore the 10-15 minute application time, often leaving this on 3-4 times that duration as it is so satisfying. Massaging with lukewarm water creates a satisfying removal process. It leaves no residue and is not tacky at any point. Both the application and removal remind me of the I’m From Honey mask, both quite luxurious and soothing. Once rinsed off, the effects can be observed. When I applied this the first time for the recommended 15 minutes, I didn’t see much difference. The next time, I left it on for 45 minutes and the results were obvious and pleasing. 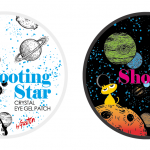 Lengthening the time of application made all the difference to my skin. My face looked so clean, fresh and radiant and felt silky smooth and any redness reduced. The antioxidant action definitely made a clear impact on my complexion, just as the product claims. 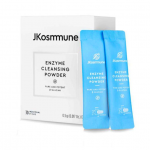 The freshness of my face indicated that the Bacillus Fermet added seamless and gentle enzyme triggered exfoliation without any physical sensation such as that experienced with a typical acid. 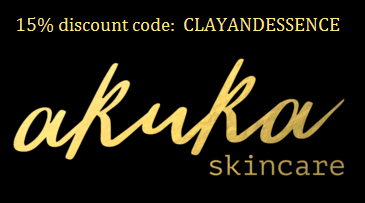 The soft, smooth and hydrated texture of my skin confirmed the humectant and emollient content balanced the renewal process perfectly to deliver the ideal outcome. I normally mask in the evening, and the results were still visible the next morning. Using this mask a couple of times a week has left my skin feeling fresh and looking healthy. 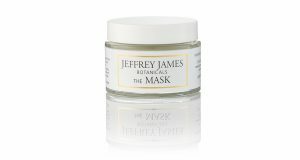 Although I like to extend the leave-on time of hydrating masks, please use as directed if planning to trial this product and then at your discretion. Lengthening application is my personal preference only. 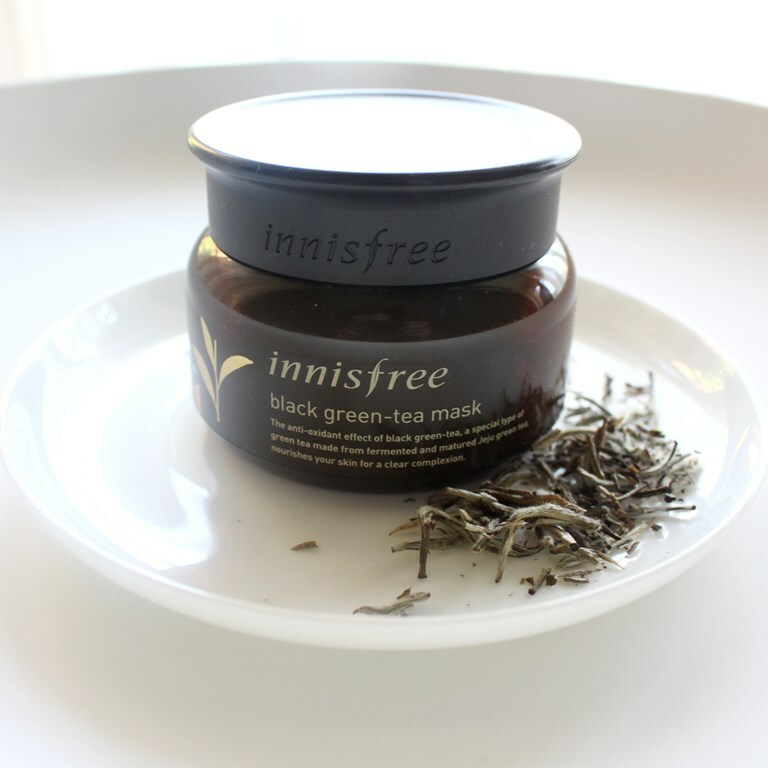 The Innisfree Black Green-Tea Mask packs an almighty antioxidant punch for outstanding results. 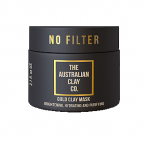 It more than satisfies product claims with effects including softening and smoothing of the skin, reduction of redness and the return of a healthy radiance. Definitely on the repurchase list.